Chipotle stock tanks after earnings. Was it a little too hot? Chipotle stock tanks. Was it a little too hot? Chipotle Mexican Grill might be a victim of its own massive growth. The chain added 192 new restaurants last year and is a cash cow from a business perspective with over $4 billion in revenue. But investors weren't happy Tuesday with the company's latest earnings report. 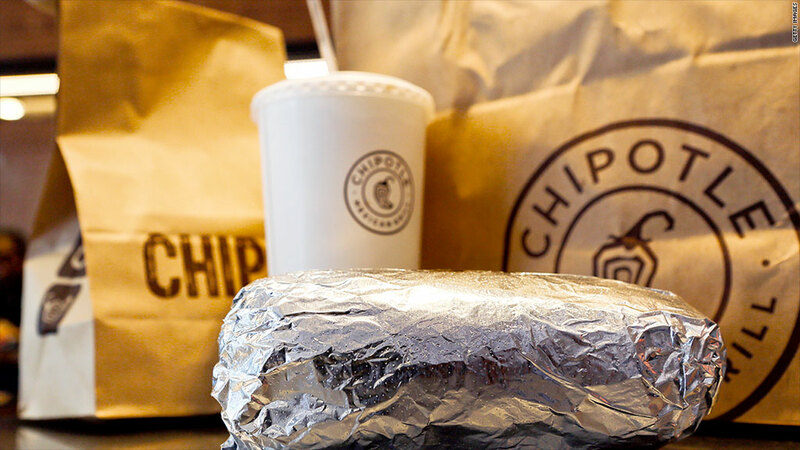 Chipotle (CMG)'s stock slipped over 5% in after hours trading after news broke that its sales only jumped up 26%. Most restaurant chains, including its former mentor McDonald's (MCD), would love to have anything close to that, but Chipotle has set a higher standard for fast casual in its stores and for its investors. "Today, the number of Millennials who consider McDonald's a relevant answer at meal time continues to decline," says Bob Derrington, an analyst at Wunderlich Securities in Franklin, Tenn. "On the other hand, that same generation increasingly uses Chipotle." One of the problems may be that Chipotle temporarily took pork out of 500 of its 1,700 U.S. stores last month because of a quality issue with one of its suppliers, which may help explain investors' disappointment. The January hit on pork cost them $2 million, the company said on a call with analysts. Higher food prices are also affecting Chipotle's bottom line. Food costs rose an hefty 35% last quarter as certain meat prices are at historic highs. But customers can rejoice: Chipotle isn't planning any price increases across its menu for now. "We want to be affordable," John Hartung, Chipotle's chief financial officer, said during the call, dismissing questions about menu price increases. "Part of our vision is to remain accessible." The company has had the same menu for 20 years, one of the many ways it shunned advice from McDonald's executives to broaden out. Despite a few scratches, Chipotle had an impressive year and plans to open another 200 stores this year. It also predicts continued sales growth, although not quite the double-digit gains from last year. "This is an absolutely amazing company," says Derrington. "Chipotle -- the concept and what they offer for the money, clearly in my view, ring the dinner bell." The Denver, Co., based-company even beat earnings per share estimates, coming in at $3.84 (versus $3.79), but that wasn't enough for hungry shareholders. For investors, Chipotle is getting expensive. It trades at over 40 times forward earnings. That's much higher than competitors like Panera (PNRA), which trades at 23 times forward earnings. Shareholders have even higher expectations when the stock is already that pricey.